The stars of Disney’s upcoming “A Wrinkle in Time,” Oprah Winfrey, Reese Witherspoon, Mindy Kaling and Storm Reid, made a surprise appearance on stage at Disney California Adventure Park’s Sneak Peek Theatre following an exclusive preview of the studio’s upcoming epic adventure directed by Ava DuVernay. 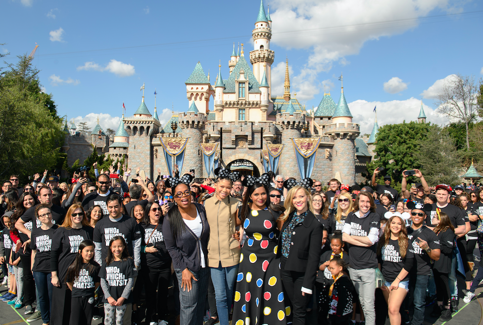 They later posed with “A Wrinkle in Time” fans in front of Sleeping Beauty Castle at Disneyland Park. 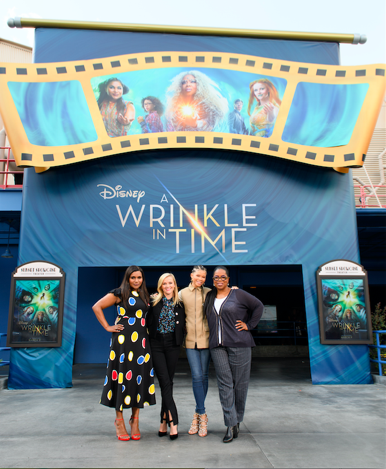 The four stars also gave attendees a special “Tessering Ticket” that allowed them to get Disney FASTPASS access to several rides at the Disneyland Resort.